Please note: Production photos will be available mid-May, 2019. 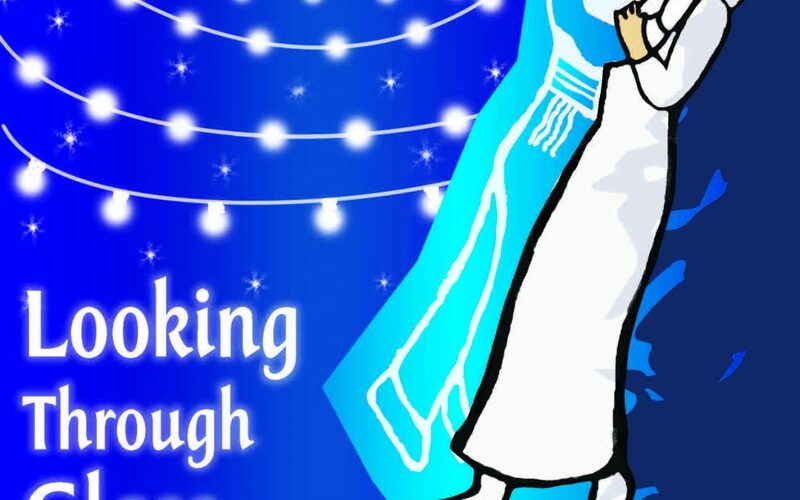 Jewish Repertory Theatre presents Looking Through Glass, by Ken Kaisser, May 9 – June 2, at the Maxine and Robert Seller Theatre, Jewish Community Center, 2640 North Forest Rd., Amherst, NY. Looking Through Glass tells the story of Leah, who after going against the wishes of her heart and marrying a man to please her parents, is possessed by the soul of her true love whom she has met shortly before her planned wedding. Can an exorcism untangle their souls, or will they be entwined for the rest of eternity? Set in our turbulent times, this haunting and romantic modern-day rendition of the Jewish classic reminds us love is a destiny which can’t always be escaped. Looking Through Glass is directed by Saul Elkin and stars Zachary Bellus, Arin Lee Dandes, Angelo J. Heimowitz, David Lundy and Tina Rausa. Playwright Ken Kaisser will join cast and director on stage after opening night performance for an audience talkback event. Brian Cavanagh is Lighting Designer, Kari Drozd is Costume Designer, David Dwyer is Set Designer, Christina Serio is Stage Manager, Mike Benoit is Assistant Stage Manager and Property Master, Kathryn Grace Sands and Molly Farber are House Managers and Linda Hanes is Box Office Manager. Jordana Halpern is Managing Director. The Jewish Repertory Theatre of Western New York is a program of the JCC of Greater Buffalo. This season’s original artwork is created by artist Eta Rottenberg. For more information on JRT productions, dates and tickets, visit www.jewishrepertorytheatre.com. Tickets are available at 716-650-7626, through Showclix at 1-888-718-4253 (Monday-Friday, 9am-9pm EST) or at either JCC reception desk.